The Savanah Bath Step is an attractive, modular bath step has been specifically designed to make daily activities, especially getting into and out of the bath, easier. The large surface area gives the user confidence and the textured surface provides additional safety. A single step has a 100mm (4") raise and the modularity of the Savanah Bath Step allows it to be stacked on top of each other or clipped together to give a larger area or create a small stair. Each additional step adds an extra 50mm (2") to the height of the step, up to a maximum of six steps (giving a 355mm (14") raise). 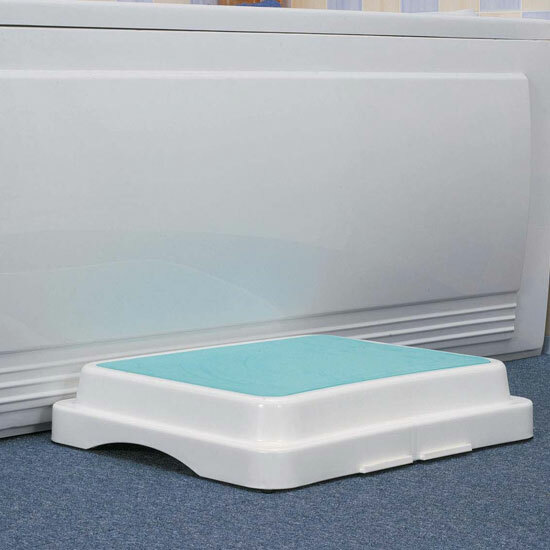 A foam pad is supplied that fits neatly onto the surface of the step.